Menstrupedia has been in the news for taking the taboo head-on and creating a friendly online resource for information on menstruation. A crowd-funded comic book is in the making, with its progress updated on the website. From what is offered as a preview of the first chapter, the comic book promises to offer a contextualised and culturally sensitive narrative for the adolescent and parental audiences in India. 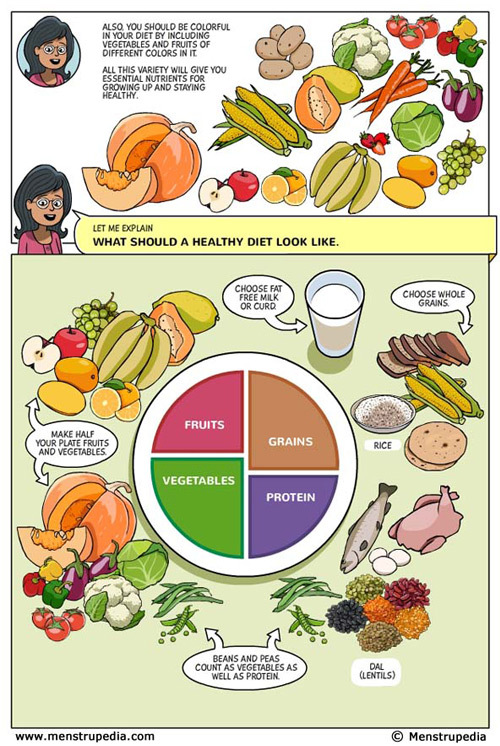 It also brings together multiple facets of adolescent life, from physical changes to mood swings, providing a relevant context in which information on menstruation is shared. While the book will be available for purchase by those who can afford it, there are also plans to enable free access to those who cannot. Equally impressive and inspirational is co-founder Aditi Gupta’s journey from a student project, to an online resource and now to a successful crowd-funded campaign that will help realise the project and make it accessible to more people. 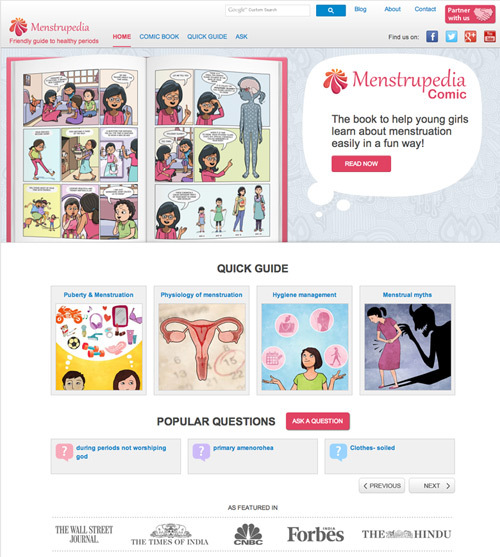 Menstrupedia cleverly uses medium and context to bring vital, medical information to girls across India, where surprisingly, there is a lack of easy-to-understand, friendly and open information. While the project is still at a nascent stage, there are plans to develop Menstrupedia for an audience wider than India. Read about the journey at Forbes India.